The iPad has been an unquestioned hit since its unveiling and debut this Spring. Our home alone has a pair, which are seemingly constantly monopolized by my two year old twins, who have made it their primary entertainment device. With millions of the devices sold, application developers are creating new and innovative ways to browse content, play games, and, with some effort, get work done. But the device isn't exactly known as a commerce engine - something Catalogs.com is looking to change with the company's new iPad app, officially announced today after approval by iTunes over the weekend. Much like Apple's iBooks app introduced the idea of flipping pages right to left as you progressed through a story, Flipboard and other developers have tapped into the same concept to make the iPad experience immersive and personal. 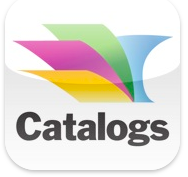 Catalogs.com has done the same thing, bringing the old world of print catalogs to a new medium. The application, at launch, comes prepackaged with 30 catalogs from retailers like MacConnection, Petco, Foot Locker and the Home Depot. Instead of grabbing the catalog from the mailbox, all you now have to do is click on the cover and flip from page to page. If you like an item, click it, and add it to your wish list, just like you would from Amazon.com. The wish list can contain items from different catalogs as well, in one place, just like Amazon can share a wish list between multiple departments in the store. And when you are ready to order, click "Details/Buy Now" to complete the process. 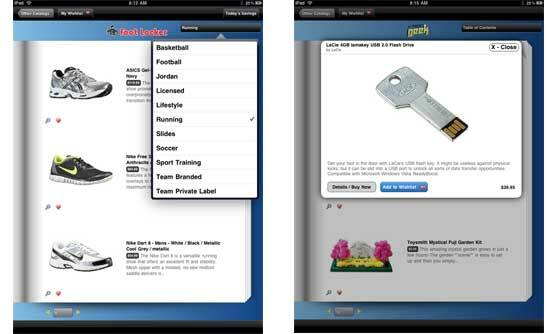 Catalogs.com has partnerships with more than 600 merchants in its main Web site listings, and is starting off with a few dozen offerings optimized for the iPad experience. Instead of getting new catalogs each week or month, cluttering your mail, the app updates automatically with the latest offerings and prices. 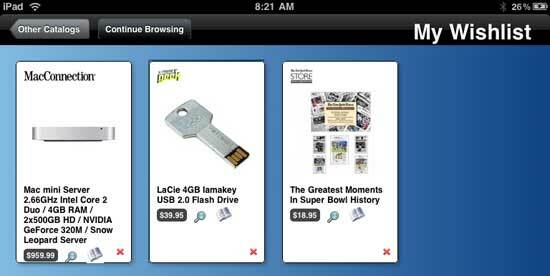 For casual shoppers who are enjoying their iPads, the new app is extremely convenient. You can see initial feedback from TechCrunch (Shopping Site Brings Print Catalogs To The iPad) and BetaNews (Catalogs.com gets the Flipboard treatment with new iPad app) as well. The app can be found at http://bit.ly/ipadcatalogs. Disclosure: Catalogs.com is a client of Paladin Advisors Group, for which I am a co-founder.